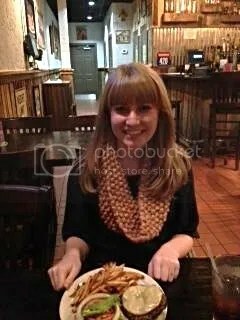 Last night I was helping a friend who lives out towards Nolensville so we decided to go to Burger Shack for dinner. Now, this actually wasn’t my first time at Burger Shack, but it had been over a year since I had been there. They model themselves after a “California Burger Shack”. Basically, they are trying to be In-N-Out. The last time I went to Burger Shack I hadn’t experienced In-N-Out yet, but now I have been to several so I feel like I can give an accurate review. I’m about to say something controversial to all my west coast friends. I love In-N-Out, but I think Burger Shack is just as good. The patty is thin, they put pretty much a whole onion on the burger, and the sauce makes the burger. I’m telling you, there is little difference between Burger Shack and In-N-Out. The bun held everything together well. The shack fries were good but a bit much. Next time I would just order regular fries and ask for shack sauce on the side to dip them in. I was able to get out for just under $10 and it would have been less had I not upgraded the fries. My only complaint about this place is they serve Pepsi. Ew. Gross. WHY?! If you know me at all, you know I’m extremely loyal to Coke and I think Pepsi just tastes flat and terrible. So the fact that I’m able to look past their terrible soda preference and still give them 5 stars says a lot. 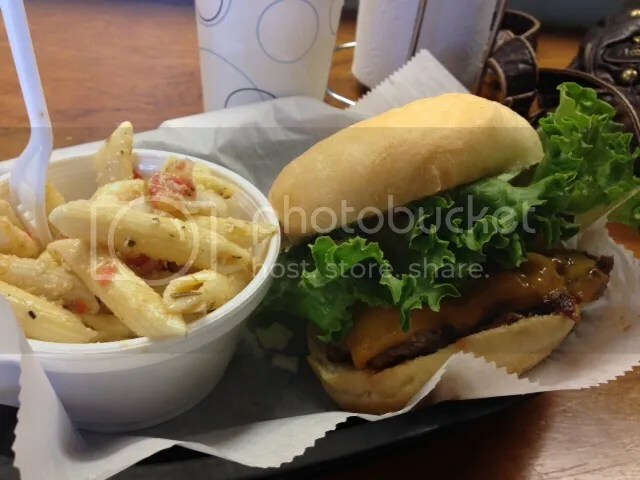 If you are craving In-In-Out in Nashville, check out Burger Shack! As always, if you go yourself I would love to hear your thoughts! This past weekend I traveled to Indianapolis for work to go to The Gideons International Convention. If you travel much for work, you know that you don’t usually get to really see much of the cities you visit. So while in Indy, I got to see a lot of the Marriott hotels where the Convention was being held and eat a lot of chicken, but didn’t see much of Indianapolis. I was in desperate need for a burger. A friend of mine told me about a burger joint called Grind Burger Kitchen in Louisville and suggested I stop there on my way back to Nashville. This particular friend and I tend to disagree on things like food often so I was a little skeptical, but we decided to give it a try. Grind Burger Kitchen started as a food truck in 2012 and after booming business, decided to open a permanent location. They pride themselves on their locally grown menu items and grass-fed beef. 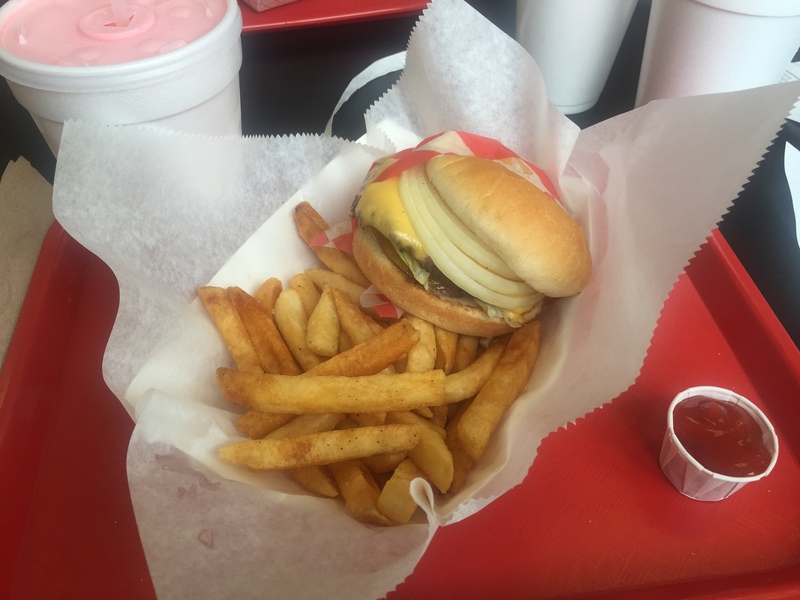 They have won several awards, being recognized as one of the best burgers in Louisville. When we entered Grind Burger we were greeted by a girl named Lauren who explained to us how to order and recommended any burger on the menu. That really narrowed things down for us. My coworker and friend, Hannah, decided to go with a more traditional burger with cheddar cheese, lettuce, and mustard, and chose fries as her side. I decided to go with the B&B burger which was topped with bacon, brie cheese and habanero jam. Lauren suggested getting the apricot jam instead of the habanero, which are both made in house, so I asked for jams on the side so I could try them both. My new friend Lauren also recommended the brussel sprouts so that’s what I went with as a side. The burgers were both delicious (I took a few bites of Hannahs to make sure they knew how to make a more traditional burger as well). I don’t know which jam I liked better because they were both good and really complimented the brie and bacon well. I would have to agree with Lauren when she said the brussel sprouts “aren’t your dads”. I know brussel sprouts might sound like a weird side to go with a burger but they were really good and seasoned well. Overall, atmosphere was great, service was quick, and it wasn’t too far off the highway. If you are looking for a place to stop and eat while in Louisville I definitely recommend stopping at Grind Burger Kitchen. 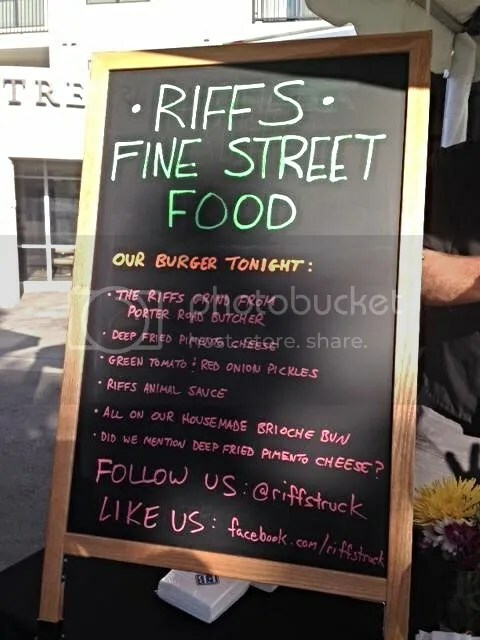 Riffs Fine Street Food: Riffs started off as a local Nashville food truck, but they recently opened a cafe at Highland Ridge as well. Their burger is just one of many food items on their menu. They have quite the variety from burgers to Korean BBQ Tacos. The burger they chose to feature used beef from Porter Road Butcher. The burger was topped with deep fried pimento cheese (yes, you read that correctly. DEEP FRIED PIMENTO! ), green tomato and red onion pickles, Riffs animal sauce, all on their housemade brioche bun. While this burger was delicious and very flavorful, it was just a little much. The ratio of everything was off, but to be fair this may have been contributed to the slider version of the burger. The flavors of the toppings took over and it was hard to actually taste the beef itself, which we have mentioned time and time again, should always be the star. Music City Tippler: I had heard all about Music City Tippler from my good friend and ex roommate, Lauren. Lauren loves donuts like I love burgers, and Music City Tippler has a burger that has 2 glazed donuts as buns. While this sounded a little too rich (and sweet) for me, I felt I had to at least try it. 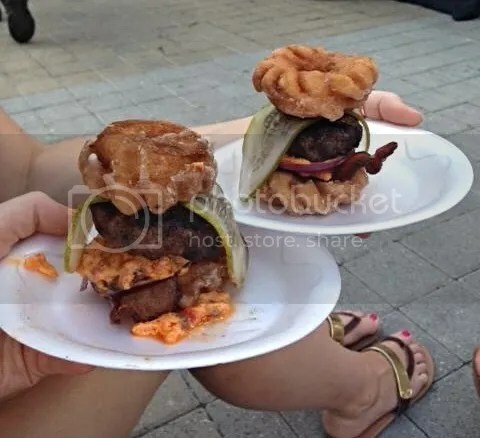 They converted this burger into a slider version with mini donuts as the bun to sample. It was topped with bacon that was cooked with jalapenos to add a nice spice, homemade pickles, onions and pimento cheese. 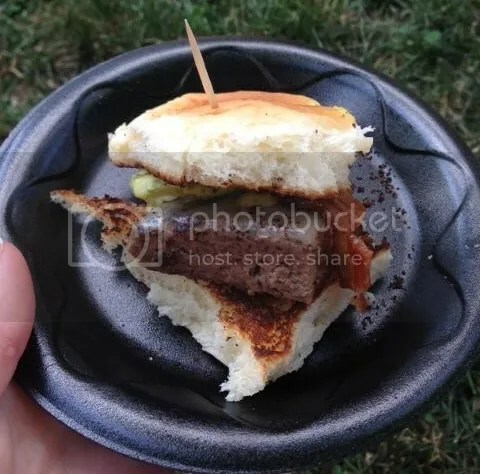 While all the individual parts were delicious (especially the jalapeno bacon), it was just way too hard to eat and didn’t translate well to a slider size. It was nearly impossible to take a bite of everything at once without the entire burger falling apart. I could tell that if I could take a full bite of everything together there would be a nice contrast between the sweetness of the donut and the spice of the bacon. Lauren was actually with me, and she said this mini version didn’t do the real donut burger justice. I guess I will just have to go try the full size version myself! M.L. Rose: I have been wanting to try ML Rose for a while now. 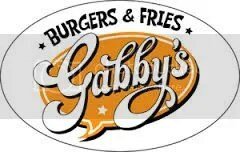 They have two Nashville locations- one on Franklin Pike and one on Charlotte Ave. in west Nashville. It’s a restaurant that specializes in two of my favorite things: burgers and craft beer. M.L. 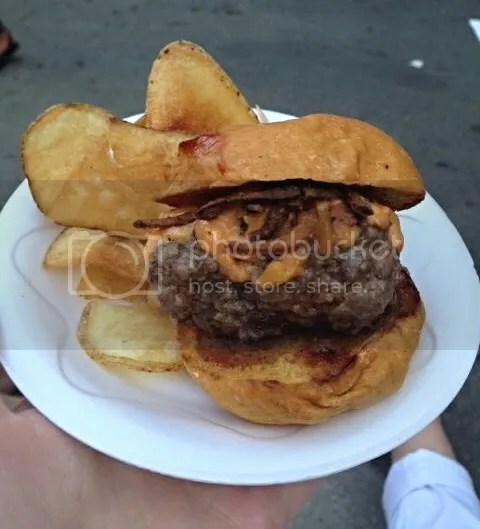 Rose chose to feature their Nash Vegas burger for the Battle of the Burger competition. This burger has a sweet potato bun and was topped with pimento cheese (pimento cheese seemed to be a theme. What is it with southerners and pimento cheese?? ), crispy tabasco onions, and BBQ sauce. It was really tasty. I don’t know what spices they put in their meat, but it had a subtle sweet taste. The sweet taste of the beef paired with the sweet potato bun contrasted nicely with spicy onions which were perfectly crispy. I’m excited to go to M.L Rose in the future to try some of their other burgers and craft beer. Hoss’ Loaded Burgers: Hoss’ is another Nashville food truck. They specialize in gourmet stuffed burgers, and their beef is 100% grass fed and local. I honestly didn’t have high expectations for Hoss’. In my mind I was thinking, “Aww this small little food truck is competing with all these well known Nashville restaurants”. Boy, was I wrong! Hoss’ burger blew all the other burgers at the competition out of the park. 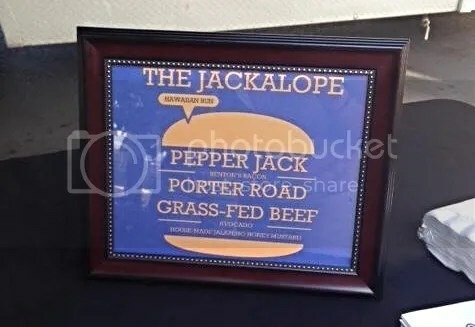 The Jackelope burger, like Riff’s burger, used Porter Road grass-fed beef. It was topped with pepper jack cheese,, benton’s bacon, avocado, and house made jalapeno honey mustard, all on a hawaiian bun. YUM! There was a nice spice from the jalapeno honey mustard and pepper jack cheese, but it wasn’t overwhelming. The patty was one of the best, most well-seasoned patties I’ve ever tasted. It had a peppery taste that reminded me of the homemade beef jerky my dad always made growing up. I will definitely be visiting this food truck in the future to try one of their stuffed burgers. 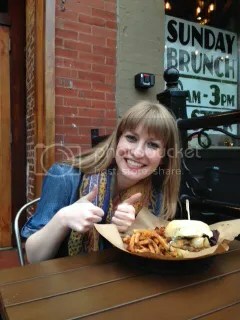 While Lauren and I both agreed Hoss’ was the best burger we tried, Burger Republic won the battle. You can read Kevin and I’s thoughts on Burger Republic here. Hoss’ did come in second place though, followed by Kitchen Notes (located in the Omni Hotel). 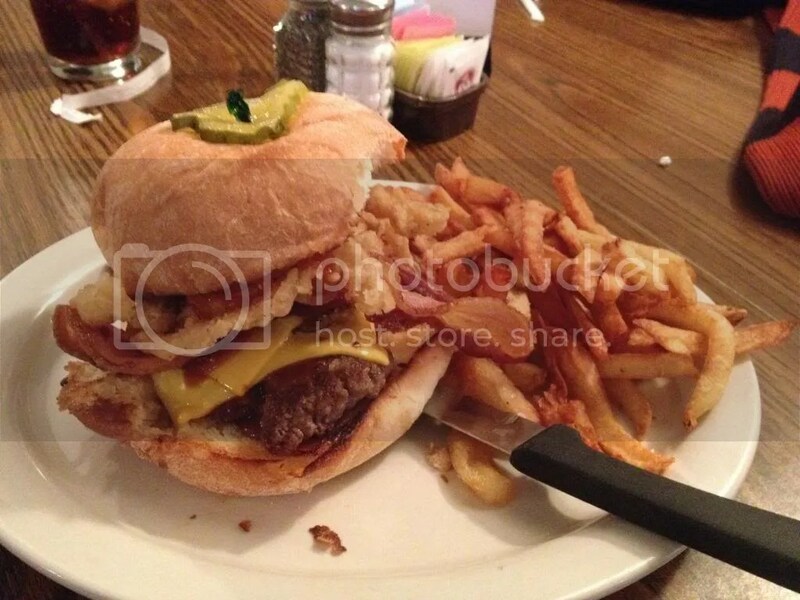 To read more about Nashville Lifestyles Battle of the Burger, visit their website. It was a lot of fun, and I look forward to next years battle! As always, leave comments in the comment section below. We would love to hear your thoughts on these burgers! 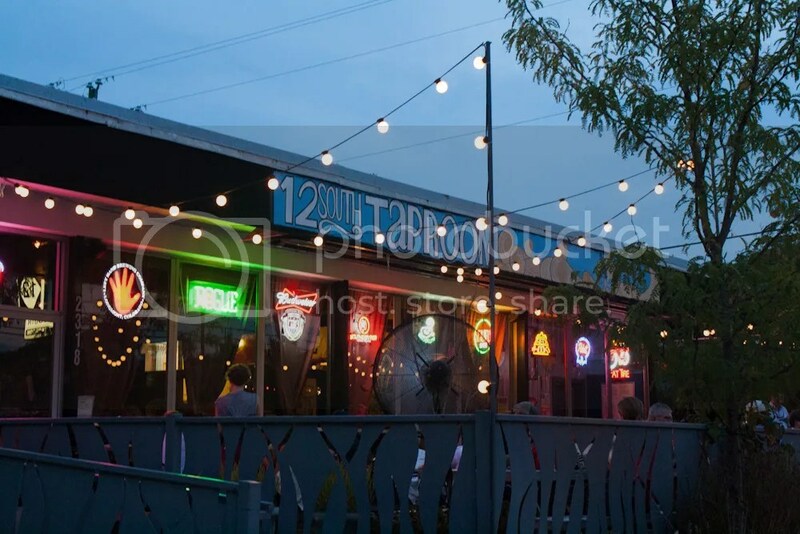 The 12 South Taproom is a popular hangout for many Nashvillians. Located in the popular 12 South neighborhood, they have an extensive selection of craft beers on tap, as well as canned and bottled beer. They have your typical bar menu, but they have a reputation for serving quality food that has care and thought put into it. I was happy to learn that they serve organic, local, grass-fed beef. Having lived in Nashville for 6 years now (wow! has it really been that long?! ), and for being somewhat of a foodie, you would think I would have gone to the 12 South Taproom plenty of times! Especially with my Alma Mater within walking distance. Nope! It wasn’t until last week that I went to the Taproom for the first time. To be honest, I wasn’t planning on ordering a burger when I got to the Taproom. I was there to get a drink with some friends, but when I got there a burger sounded good so I decided to give it a try. I ordered the Black-n-Blue burger with my expectations set pretty low. Don’t get me wrong, I wasn’t expecting a bad burger. I just expected a typical burger from a bar. Satisfying, but not memorable. The menu didn’t give some fancy description that uses a bunch of words you don’t really understand. You know those pretentious menus I’m talking about? Where you only really recognize half of the words, but it sounds like it could be good so you just order and hope for the best. 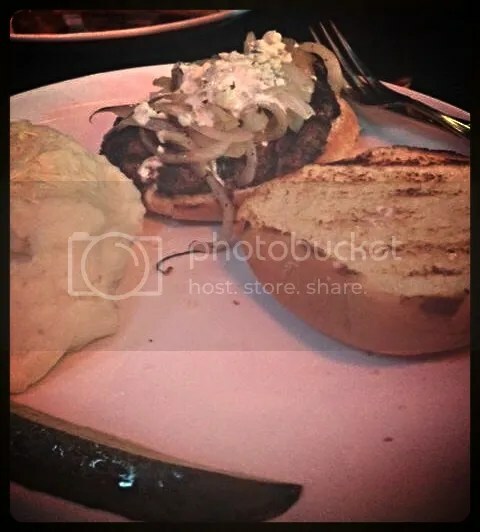 The Taproom kept things simple, and the description just read “hot melted bleu cheese, grilled onions on bun”. I appreciate descriptions that are straight and to the point. I ordered parmesan mashed potatoes as my side. This burger far exceeded my expectations! The toppings added a nice flavor, but did not take away from the flavor of the beef which was seasoned exceptionally well. The burger:bun ratio was perfect. My last bite was equal parts bun and burger. If I had one word to describe this burger it would be “balanced”. I do wish the bun was a little sturdier. While the bun was a good size, it was a little flimsier than I would like leaving the potential for it to become easily soggy. The parmesan mashed potatoes were delicious! I definitely recommend them if you are looking to mix it up from the standard fries with your burger. I tasted the gouda macaroni which was also delicious, but seemed too heavy to be paired with a burger. The overall atmosphere at the Taproom was great for a summer night. They have a really nice patio we sat out on that has a laid back vibe, perfect for hanging out with friends. So the next time you are at the Taproom sipping a beer while catching up with friends, order the burger! Then let me know what you think! 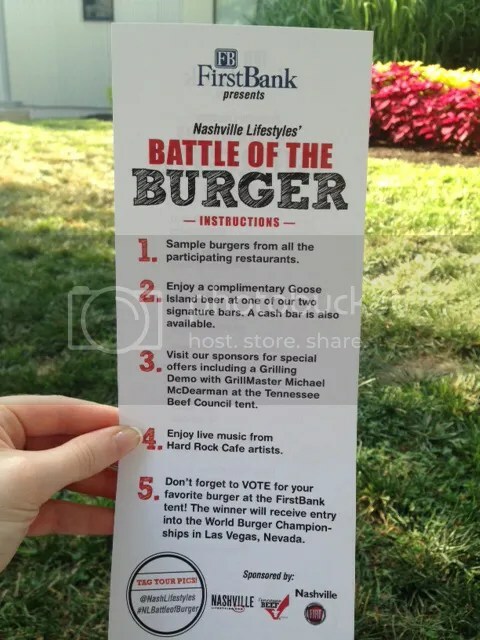 Later this week I am going to Nashville Lifestyles’ Battle of the Burger in the Gulch! There will be a live burger competition as local restaurants battle it out to be deemed Nashville’s Best Burger. I am excited to try all of the burgers competing and share with you my thoughts! Be on the lookout for a new post next week! Has it really been a year already? In honor of our birthday and Throwback Thursday, today’s post is going to be a bit different. I’ve eaten a lot of burgers in the last year. I don’t post about every burger experience on this blog- usually you just hear about our first impressions. But guess what? Sometimes first impressions are wrong. I wanted to take this opportunity to look back on the year, and reevaluate the burgers I’ve tried. So here are the Top 3 Nashville Reviews I felt needed some revisiting (pun intended). My feelings on Burger Republic really haven’t changed. I’m still not a fan of their burgers, or their playlist. The only thing I’ll say is that they DO have incredible milkshakes. We mentioned this in our joint-review, but really. They are delicious. Take my advice- skip the burger, just order a milkshake. 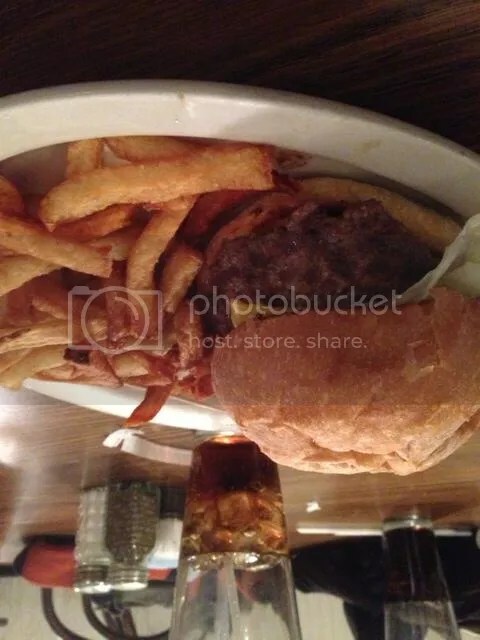 When I first wrote this review I had only tried 1 burger at The Pharmacy: The Pharmacy Burger. While it was a good burger, I wanted to try something more unique. I have since been back (MANY times), and have fallen in love with the Mission City Burger. This burger has guacamole, pico de gallo, slow-cooked black beans, and horchata crema fresca- all topped on their 100% TN beef. The first time I tried this burger I was a little hesitant about the horchata crema fresca sauce and almost asked for it to be taken off the burger, but the waitress insisted it remain on the burger. I’m really glad I left it on, because it makes the burger. It has a slight cinnamon taste and is inspired by the Mexican horchata drink. It sounds weird, but it adds a nice contrast to the flavors of the guacamole and pico. I have loved this burger so much that I haven’t tried anything else. Everyone tells me how much they love the Farm Burger, so I’m making it my goal to try it sometime in the next year. Overall Assessment: The Pharmacy is the place I would take friends or family visiting from out of town. It simply has the best overall experience of burger joints in Nashville. 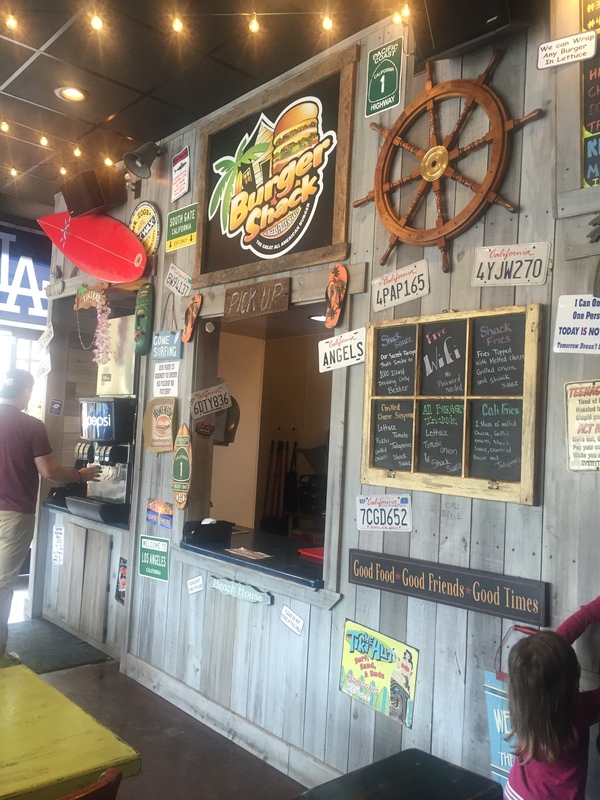 It has a fun atmosphere, great burgers, and great service. It represents Nashville well. That being said, it is not my favorite burger in Nashville. Recently, I have really been loving Burger Up. In fact…I might even dare say it’s my favorite BURGER in Nashville so far. I still order the Black and Blue burger, and find myself craving that particular burger more than any other burger in Nashville. I’ve tried several burgers in the last year with blue cheese on them, but none of them top Burger Up’s. I complained about the size of the burger, and the burger:bun ratio in my previous review. I take that all back. I find this to be the perfect size burger, and the ratio is perfect. I must have just hit an off night the first time I went to Burger Up, because now I leave perfectly content. I have also joined the bandwagon, and have recently fallen in love with their truffle fries. Yes. Those fries I didn’t talk very highly of when I first reviewed this burger? They’ve stolen my heart, and I’m sorry for ever bashing them. That being said, while the Black and Blue burger might be my favorite Nashville burger, that does NOT mean Burger Up is my favorite burger place in Nashville. There are still a lot of things about the overall experience that I don’t love. While the wait time at Burger Up has significantly dropped (and the wait time at The Pharmacy has significantly increased), there still isn’t a good place to stand if you do have to wait for a table. It’s still very claustrophobic, and it’s hard to even walk through the restaurant. I just don’t find it very relaxing or comfortable. So that’s it! I would love to hear your thoughts, so let me know in the comment section! 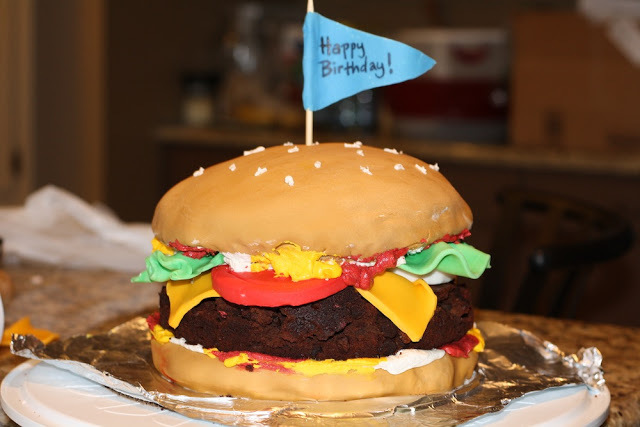 Happy Birthday to Burger Diaries! We are excited for this next year, and the new burger adventures it will bring. Thanks for reading! Not many people would walk 4 blocks in -10 degree weather just to try a new burger, but we love burgers that much. There’s a distinct oldness about 417 Union. And by old, we don’t mean nostalgic. We mean old. Because nostalgia has a charm – a warmth – that, when you’re faced with it, finds its way into your heart. Perhaps I’m lending too much credibility to the Polar Vortex, but there was little warmth to the familiarity. We were seated at a table, but to our left was a bar. And at this bar sat two men, separated by solitude and a handful of barstools. It wouldn’t surprise me to find that these men spend every lunch at this bar, alone, in routine. In fact, it seemed most 417 Union patrons had made this establishment part of their routine. Because while our waitress was notably friendly and kind, she was, more than anything, surprised to see us. We weren’t regulars, and to her that was weird. In fact, if we had to describe the burger in one word, it might be “regular”. Don’t get me wrong; this was actually a pretty good burger. But there was something about it that seemed fixed. Static. Like the men at the bar, this burger had passively accepted its fate. But despite this, seriously, strangely, it was actually a good burger. I was, and am, conflicted. I ordered the Smokehouse Burger, topped with “house-made” barbeque sauce, bacon, cheddar cheese, and onion straws. There was a distinct saltiness to the burger that I really liked. And while the “cheddar” cheese seemed more “Kraft Single”, and the house-made-ness of the barbeque sauce did little to distinguish the flavor from its store-bought counterparts, I didn’t mind. It came together in an old-timey way. Not old-timey in a great way, as I’ve written before, but old-timey in a pretty-good-despite-its-flaws way. I’ll take it. Especially because the fries, like the burger, were well salted and quite delicious. While Kevin chose a more adventurous burger with southern flare, I decided to stick with a more traditional burger. I ordered the Great American Cheeseburger, and while it was a good burger, nothing about it made it stand out as “Great”. It was a decent sized burger, topped with all the standard toppings- lettuce, tomato and american cheese. I really enjoyed the bun, which I later learned was from Provence – a local Nashville bakery. I’ve mentioned before that The Pharmacy also uses their buns. Overall, I would have to agree with Kevin- the fries were delicious, but the burger was just “regular”. If I wanted a “regular” burger I would go to Steak ‘n Shake where I would pay $4 as opposed to $10. One friend described 417 Union as “the best place to eat in the inner loop of downtown Nashville” (whatever the inner-loop is…), and another expressed his approval, placing 417 Union in the top 30% of burgers in Nashville. 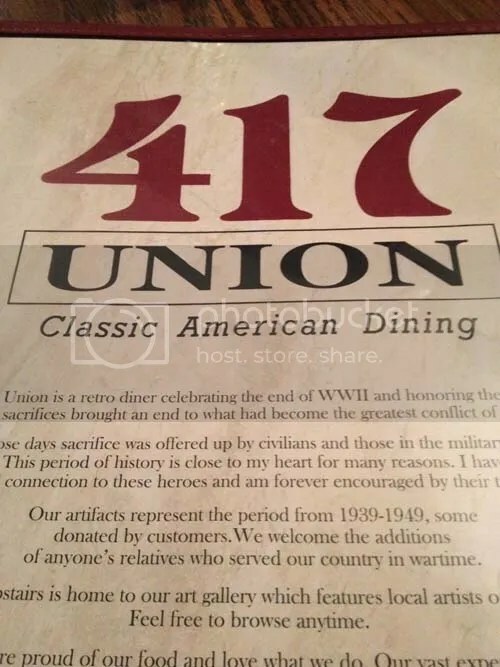 While we think both claims are a bit too strong, 417 Union offers a decent burger for the lonely old man in all of us. Have you ever had your heart set on something, and then things just don’t go your way, and you are left sad and disappointed? This happened to me and my friend, Jessie, a few weeks ago. It was right before Christmas, and Jessie was visiting Nashville from out of town. Jessie is a friend from college, and we have spent MANY late nights hanging out and working in one of Nashville’s local coffee shops- usually Fido. We both had work to do on this particular night, and were CRAVING Fido’s burger. We decided to meet at Fido, eat a delicious burger, and hang out and work afterwards. Perfect. We were SO looking forward to this plan. Our plans were ruined when we showed up at Fido, and discovered all of Bongo World was shut down for the night so the staff could have their Christmas Party. What ever were we going to do?! We got pretty dramatic. We sat in the car for a good 30 minutes trying to decide what to do. One would have thought Fido was the only place to eat in Nashville with the way we were reacting, but nothing else sounded good. Finally, we decided to try Blvd. Nashville. It’s a newer restaurant on Belmont Blvd, and it looked like it could be good! They had a burger and there wasn’t much of a wait. It would do. 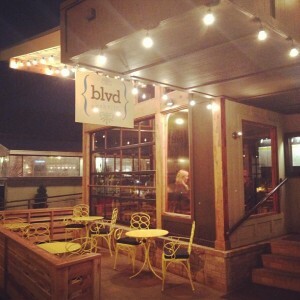 Blvd describes themselves as a french bistro, bar, and market. They have a lot of unique things on their menu, but I was already set on getting the burger. Their burger was topped with house made bacon (whatever that means), caramelized onion, swiss, arugula, aioli, and tomato confit, and placed on a pretzel bun. I chose to substitute the swiss cheese for cheddar cheese since I’m not a huge swiss cheese fan. The burger was…decent. Will I crave this burger again? Meh, probably not. It was not a bad burger, but it just wasn’t all that memorable. In fact, I’m kicking myself for not writing this post earlier because I’m having trouble remembering what it was I liked and disliked about this burger. What I do remember is that although the atmosphere was nice, we had a really strange waiter who liked to linger. I remember thinking that my bill seemed really high for what I got. It was almost $15, and I only got water to drink! I remember having to wait quite a while for our food, and they weren’t very busy (must have been that house made bacon they were making in the back…). But the burger? Nothing about it really stuck out to me. Will I go back to Blvd. Nashville? Probably not, unless a group of friends really wanted to go there. I just wouldn’t be inclined to order the burger again. What do you think? Do you agree with me about Blvd. Nashville? Is there burger actually great, and I am just being overly critical because my heart was set on Fido? Let me know in the comment section! I would like to start off this blog post with an apology. I have not written a Nashville burger review in a while. Life has just been really busy, and I haven’t had the time to sit down and actually write a review. Excuses, excuses. I know. Do not fear though! I have some burger adventures planned in the near future, so stay tuned! With that being said, I actually visited 360 Burger for the first time a few months ago. A former professor of mine, and friend, told me I had to try their burgers, and so I met up with him and some other design chums to give it a try. My first experience was a good one, but I felt I waited too long to write this review so I needed to go back again (a good sign that I wanted to go back). I returned last night, and was not disappointed. 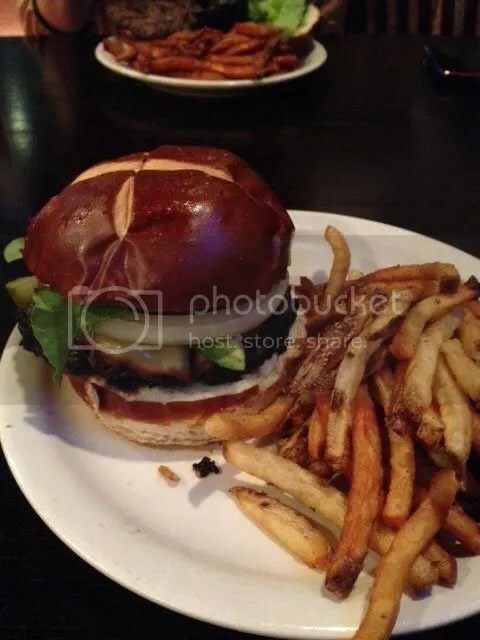 All of their burgers are made from grass-fed, local beef, and served on a pretzel bun. I ordered the Cilantro Avocado Burger. It’s a burger stuffed with smoked gouda and jalapenos and then topped with fresh avocado, lettuce, and onion. The flavor was perfect. Since the jalapenos are cooked in the burger, there is enough spice without it being too overwhelming. The sliced avocado complimented the kick from the jalapenos nicely, giving it a well-balanced flavor. The only thing I have to complain about is the fact that they put mayonnaise on their buns. I have to agree with Kevin that mayo has no place being on a burger. Luckily, it was very light and I could scrape most of it off. Next time I’ll just have to remember to tell them no mayo. This was my first experience with a pretzel bun, and I must say, I am a fan! I liked the subtle flavor it gave to the burger, and it was sturdy enough to hold everything together. 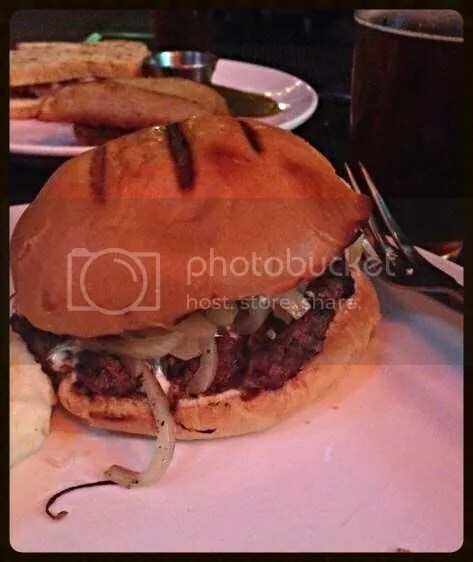 In fact, if this burger was on a regular bun it probably would have been really messy and the bun may have disintegrated, as was the case at Burger Republic. Gross. 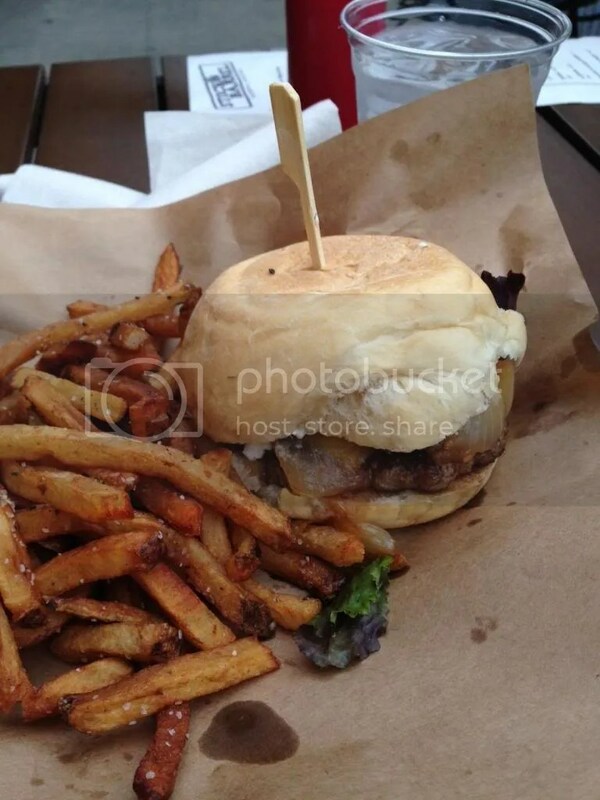 But no, this bun help up nicely, and was the perfect holder for this messy burger. Another plus to this burger joint is the price! You can get a standard burger with fries and a drink for only $7.99! That’s a steal! My specialty burger didn’t come with a drink, but was still reasonably priced. And guess what?! They are currently on ScoutMob so you can save some money. I went with a friend last night and we each got a burger and Coke. We used the 50% off ScoutMob, and our check was under $10. Total. You really can’t beat that! Ok, so what’s the downside? While I already mentioned the mayo, I have a few other concerns. First of all, the location. 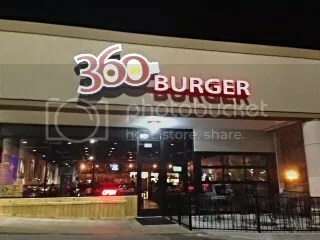 360 Burger is located in Antioch. It’s only about a 10 minute drive from the city which isn’t bad, but there is really nothing else around this place. It’s in an abandoned parking lot. While that is good for parking, it isn’t all that welcoming. You can see that they have plenty of things going for them, but location isn’t one of them, and can really be a downfall for any great business. Unless you live in Antioch, I don’t know why you would make the trip just to go to 360 Burger when there is nothing else to do out there. Both times I have been to 360 Burger the place has been pretty empty. The overall atmosphere is just, meh. It just makes me sad because I would really like to see them succeed. So ending on a more positive note, I recommend you give this burger joint a try. The service was great, staff was friendly, and I really enjoyed my burger. With it being 50% off on Scoutmob, what do you have to lose?